I’m always a bit sceptical when it comes to blemish treatments. I’ve never really found one that actually works, most of them just dry out my skin and that in turn gets rid of the blemish. 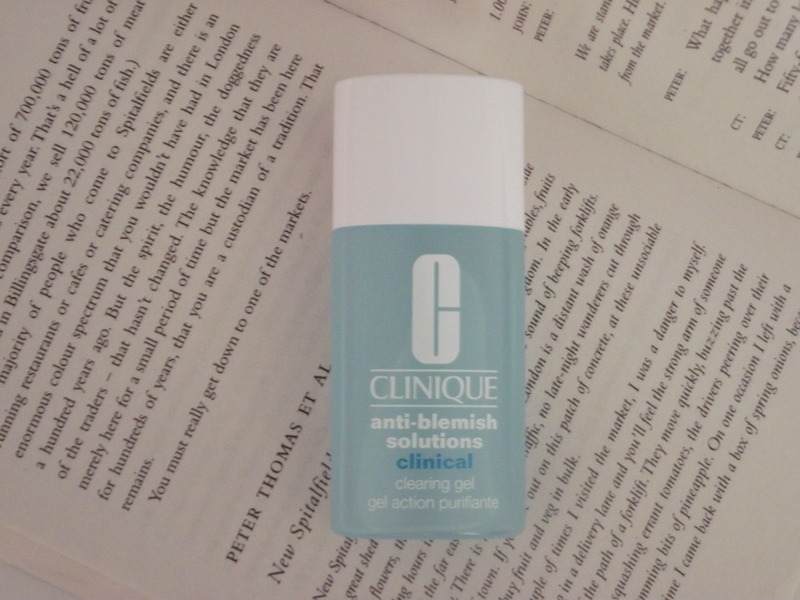 However, I can honestly say the Clinique Clearing Gel genuinely helps when those pesky blemishes show up. I originally tried this when I bought some Clinique product and the girl at the counter gave me a tester to try, but at the time I didn’t need it so I put it in my sample box. However, a couple of weeks ago I had the most annoying breakout and I decided to try it and it honestly worked it’s magic overnight. I so impressed by that I had to head to my local Boots the next day to buy a full size. The packaging is really compact and it has a small hole at the top that dispenses the product so it’s really hygienic and easy to keep free from bacteria. I’ve never actually tried this one, it sounds great though! I feel like I’ve tried almost every product under the sun because I had acne when I was younger.. might need to give this a try! I’ve always been sceptical about these products too, might try this one out!